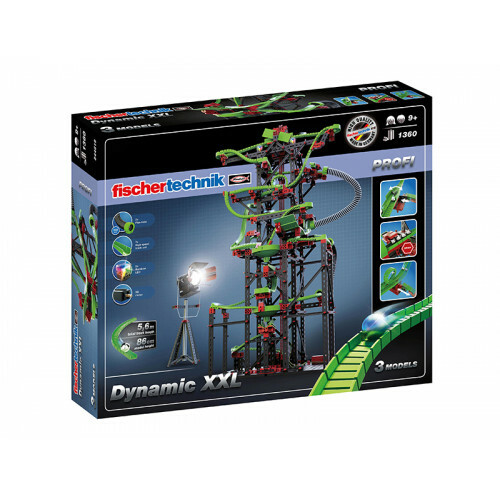 Even higher, even faster, and even more action: All this is guaranteed with the new Dynamic XXL marble run. 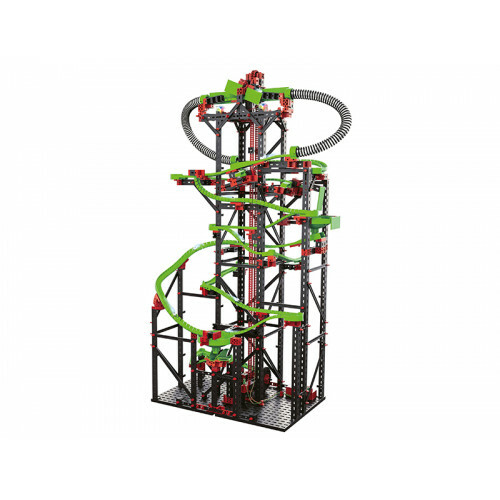 Nearly a metre tall, with a track length of up to 5.60m, with many features, new pieces and track crossings, this marble run promises unlimited fun. The new flex-tubes enable fast, new routes. 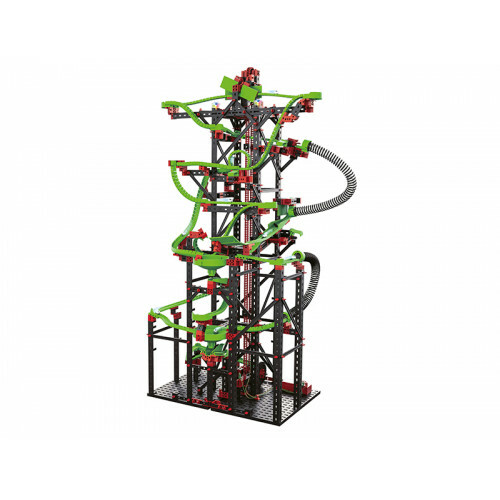 The marbles whiz over a mechanical cross-over into different track circuits. Then, on their way down, they shoot through the loop, across the quarter pipe, through the jumping loop, towards more mischief. New: Even more interaction is possible, as the user can intervene in the marble’s route. With a mechanical track crossing, the layout of the flex-rails can be shifted and the route can be determined at another crossing with a switch lever. 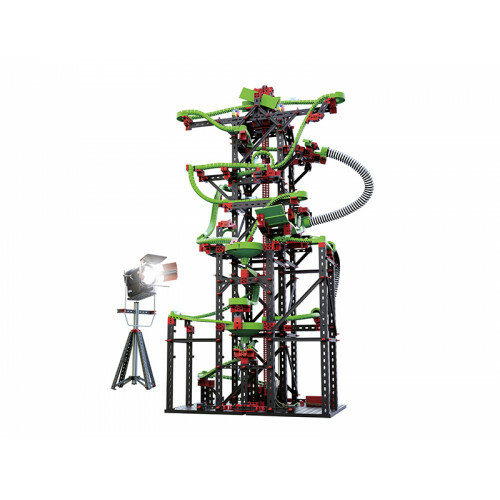 Additionally, the marbles can be stopped or released at a stop point. 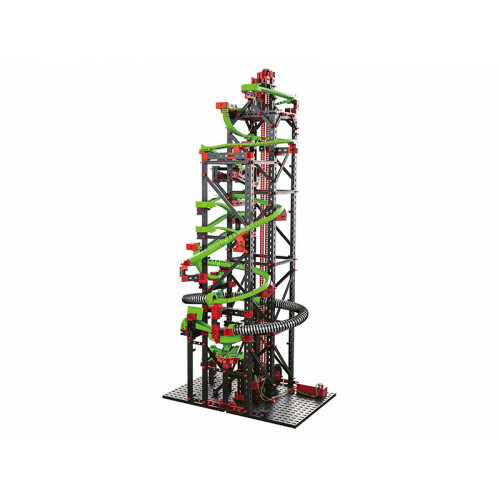 Once they get to the bottom, the marbles are transported right back to the top via the motor-powered chain lift. 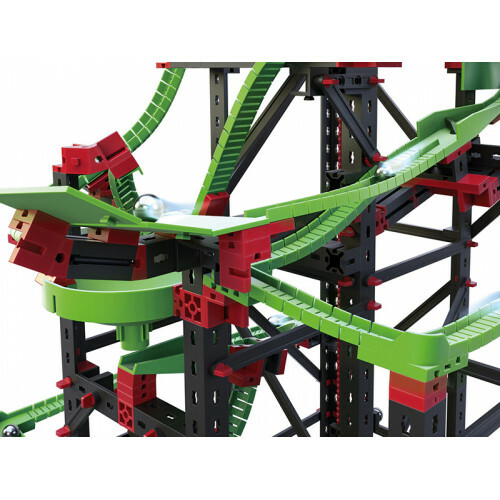 Three different marble runs can be constructed, and offer various opportunities for modification.By expanding the marble run with the PLUS sets: Bluetooth Control Set and Motor Set XS (up to two) can control chicanes at, for example, the track crossings or the stop points via Bluetooth, by controller or with a smartphone/tablet.